Oxford ( /ˈɒksfərd/ OKS-fərd)   is a university city in south central England and the county town of Oxfordshire. With a population of approximately 155,000, it is the 52nd largest city in the United Kingdom,   with one of the fastest growing populations in the UK, and it remains the most ethnically diverse area in Oxfordshire county. The city is 51 miles (82 km) from London, 61 miles (98 km) from Bristol, 59 miles (95 km) from Southampton, 57 miles (92 km) from Birmingham and 24 miles (39 km) from Reading. The city is known worldwide as the home of the University of Oxford, the oldest university in the English-speaking world. Buildings in Oxford demonstrate notable examples of every English architectural period since the late Saxon period. Oxford is known as the "City of Dreaming Spires", a term coined by poet Matthew Arnold. Oxford has a broad economic base. Its industries include motor manufacturing, education, publishing and a large number of information technology and science-based businesses, some being academic offshoots. Over 2 billion people speak English. English is the third largest language by number of native speakers. With 300 million native speakers, the United States of America is the largest English speaking country. As pictured in the pie graph below, most native speakers of English are Americans. The architecture of England is the architecture of modern England and in the historic Kingdom of England. It often includes buildings created under English influence or by English architects in other parts of the world, particularly in the English and later British colonies and Empire, which developed into the Commonwealth of Nations. Oxford was first settled in Anglo-Saxon times and was initially known as "Oxenaforda", meaning "ford of the oxen" (according to the English Place-Name Society,  who base their result on a passing reference in Florence of Worcester's work Chronicon ex chronicis ); fords were more common than bridges at that time. It began with the establishment of a river crossing for oxen around AD 900. Robert D'Oyly was a Norman nobleman who accompanied William the Conqueror on the Norman Conquest, his invasion of England. He died in 1091. Oxford Castle is a large, partly ruined Norman medieval castle on the western side of central Oxford in Oxfordshire, England. Most of the original moated, wooden motte and bailey castle was replaced in stone in the late 12th or early 13th century and the castle played an important role in the conflict of the Anarchy. In the 14th century the military value of the castle diminished and the site became used primarily for county administration and as a prison. The surviving rectangular St George's Tower is now believed to pre-date the remainder of the castle and be a watch tower associated with the original Saxon west gate of the city. 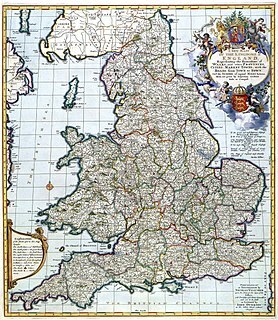 Oxford's prestige was enhanced by its charter granted by King Henry II, granting its citizens the same privileges and exemptions as those enjoyed by the capital of the kingdom; and various important religious houses were founded in or near the city. Oxford's status as a liberty obtained from this period until the 19th century. A grandson of King John established Rewley Abbey for the Cistercian Order; and friars of various orders (Dominicans, Franciscans, Carmelites, Augustinians and Trinitarians) all had houses of varying importance at Oxford. Parliaments were often held in the city during the 13th century. 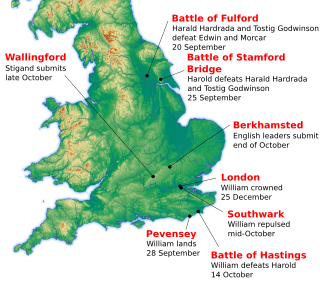 The Provisions of Oxford were instigated by a group of barons led by Simon de Montfort; these documents are often regarded as England's first written constitution. The Oxford Martyrs were tried for heresy in 1555 and subsequently burnt at the stake, on what is now Broad Street, for their religious beliefs and teachings. The three martyrs were the bishops Hugh Latimer and Nicholas Ridley, and the archbishop Thomas Cranmer. The Martyrs' Memorial stands nearby, round the corner to the north on St. Giles. In 1790, the Oxford Canal connected the city with Coventry. The Duke's Cut was completed by the Duke of Marlborough in 1789 to link the new canal with the River Thames; and, in 1796, the Oxford Canal company built its own link to the Thames, at Isis Lock. In 1844, the Great Western Railway linked Oxford with London via Didcot and Reading,   and other rail routes soon followed. On 6 May 1954, Roger Bannister, a 25-year-old medical student, ran the first authenticated sub-four-minute mile at the Iffley Road running track in Oxford. Although he had previously studied at Oxford University, Bannister was studying at St Mary's Hospital Medical School in London at the time. He later returned to Oxford University and became Master of Pembroke College. Oxford's second university, Oxford Brookes University, formerly the Oxford School of Art, then Oxford Polytechnic, based at Headington Hill, was given its charter in 1991 and for ten years has been voted the best new university in the UK. It was named to honour the school's founding principal, John Henry Brookes. Oxford's latitude and longitude are 51°45′07″N1°15′28″W﻿ / ﻿51.75194°N 1.25778°W﻿ / 51.75194; -1.25778 Coordinates: 51°45′07″N1°15′28″W﻿ / ﻿51.75194°N 1.25778°W﻿ / 51.75194; -1.25778 or grid reference SP513061 (at Carfax Tower, which is usually considered the centre). ↑ Weather station is located 0.7 miles (1.1 km) from the Oxford city centre. Oxford increasingly has a reputation for being a centre of digital innovation, as epitomized by Digital Oxford. Several startups including Passle,  Brainomix,  Labstep,  and more, are based in Oxford. As well as being a major draw for tourists (9.1 million in 2008, similar in 2009),  Oxford city centre has many shops, several theatres and an ice rink. The historic buildings make this location a popular target for film and TV crews. The city centre is relatively small, and is centred on Carfax, a cross-roads which forms the junction of Cornmarket Street (pedestrianized), Queen Street (semi-pedestrianized), St Aldate's and the High. Cornmarket Street and Queen Street are home to Oxford's various chain stores, as well as a small number of independent retailers, one of the longest established of which is Boswell's, founded in 1738. St Aldate's has few shops but several local government buildings, including the town hall, the city police station and local council offices. The High (the word street is traditionally omitted) is the longest of the four streets and has a number of independent and high-end chain stores, but mostly university and college buildings. There are two small shopping malls in the city centre: The Clarendon Centre  and the Westgate Centre. The Westgate Centre is named for the original West Gate in the city wall, and is at the west end of Queen Street. A major redevelopment and expansion to 750,000 sq ft (70,000 m2), with a new 230,000 sq ft (21,000 m2) John Lewis department store and a number of new homes, was completed in October 2017. The University Museum of Natural History holds the University's zoological, entomological and geological specimens. It is housed in a large neo-Gothic building on Parks Road, in the University's Science Area. Among its collection are the skeletons of a Tyrannosaurus rex and Triceratops , and the most complete remains of a dodo found anywhere in the world. It also hosts the Simonyi Professorship of the Public Understanding of Science, currently held by Marcus du Sautoy. The Museum of the History of Science is housed on Broad St in the world's oldest-surviving purpose-built museum building. It contains 15,000 artefacts, from antiquity to the 20th century, representing almost all aspects of the history of science. Hybrid buses, which use battery power with a small diesel generator, began to be used in Oxford on 15 July 2010, on Stagecoach Oxfordshire's Route 1 (City centre – Cowley – Blackbird Leys). Both Stagecoach and Oxford Bus Company now operate numerous hybrid buses in the city. 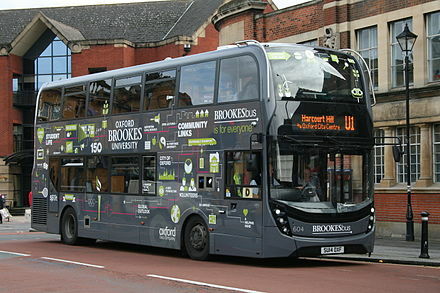 In 2014 Oxford Bus introduced a fleet of 20 new buses with flywheel energy storage (FES) on the services it operates under contract for Brookes University. Whereas electric hybrids use battery storage and an electric motor to save fuel, FES uses a high-speed flywheel. In 1844, the Great Western Railway linked Oxford with London Paddington via Didcot and Reading;   in 1851, the London and North Western Railway opened its own route from Oxford to London Euston, via Bicester, Bletchley and Watford;  and in 1864 a third route, also to Paddington, running via Thame, High Wycombe and Maidenhead, was provided;  this was shortened in 1906 by the opening of a direct route between High Wycombe and London Paddington by way of Denham. The distance from Oxford to London was 78 miles (125.5 km) via Bletchley; 63.5 miles (102.2 km) via Didcot and Reading; 63.25 miles (101.8 km) via Thame and Maidenhead;  and 55.75 miles (89.7 km) via Denham. Only the original (Didcot) route is still in use for its full length, portions of the others remain. There were also routes to the north and west. The line to Banbury was opened in 1850,  and was extended to Birmingham Snow Hill in 1852;  a route to Worcester opened in 1853. A branch to Witney was opened in 1862,  which was extended to Fairford in 1873. The line to Witney and Fairford closed in 1962, but the others remain open. Oxford has had three main railway stations. The first was opened at Grandpont in 1844,  but this was a terminus, inconvenient for routes to the north;  it was replaced by the present station on Park End Street in 1852 with the opening of the Birmingham route. Another terminus, at Rewley Road, was opened in 1851 to serve the Bletchley route;  this station closed in 1951. There have also been a number of local railway stations, all of which are now closed. A fourth station, Oxford Parkway, is just outside the city, at the park and ride site near Kidlington. The present railway station opened in 1852. Oxford is the junction for a short branch line to Bicester, which was upgraded to 100 mph (161 km/h) during an 18-month closure in 2014/2015 – and is anticipated to be extended to form the planned East West Rail line to Cambridge. Chiltern Railways now connects Oxford to London Marylebone via Bicester Village, having sponsored the building of about 400 metres of new track between Bicester Village and the Chiltern Main Line southwards in 2014. The route serves High Wycombe and London Marylebone, avoiding London Paddington and Didcot Parkway. East West Rail is proposed to continue through Bletchley (for Milton Keynes Central) to Bedford,  Cambridge,  and ultimately Ipswich and Norwich,  thus providing alternative route to East Anglia without needing to travel via, and connect between, the London mainline terminals. As well as the BBC national radio stations, Oxford and the surrounding area has several local stations, including BBC Oxford, Heart Thames Valley, Destiny 105, Jack FM and Jack FM 2 along with Oxide: Oxford Student Radio  (which went on terrestrial radio at 87.7 MHz FM in late May 2005). A local TV station, Six TV: The Oxford Channel, was also available  but closed in April 2009; a service operated by That's TV, originally called That's Oxford (now That's Oxfordshire), took to the airwaves in 2015. The city is home to a BBC TV newsroom which produces an opt-out from the main South Today programme broadcast from Southampton. In 2013, Oxford Rugby League entered rugby league's semi-professional Championship 1, the third tier of British rugby league. Oxford Cavaliers, who were formed in 1996, compete at the next level, the Conference League South. Oxford University (The Blues)  and Oxford Brookes University (The Bulls)  both compete in the rugby league BUCS university League. Oxford University Boat Club compete in the world-famous Boat Race. Since 2007 the club has been based at a training facility and boathouse in Wallingford,  south of Oxford, after the original boathouse burnt down in 1999. Oxford is also home to the City of Oxford Rowing Club, based near Donnington Bridge. Abingdon-on-ThamesAB-ing-dən-, known just as Abingdon between 1974 and 2012, is an historic market town and civil parish in the ceremonial county of Oxfordshire, England. Historically the county town of Berkshire, since 1974 Abingdon has been administered by the Vale of White Horse district within Oxfordshire. Banbury is a historic market town on the River Cherwell in Oxfordshire, England. The town is situated 64 miles (103 km) northwest of London, 37 miles (60 km) southeast of Birmingham, 25 miles (40 km) south-by-southeast of Coventry and 22 miles (35 km) north-by-northwest of the county town of Oxford. It had a population of 46,853 at the 2011 census. Wantage is a historic market town and civil parish in the ceremonial county of Oxfordshire, England. Historically part of Berkshire, it has been administered as part of the Vale of White Horse district of Oxfordshire since 1974. 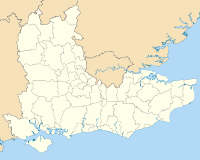 The town is on Letcombe Brook, about 8 miles (13 km) south-west of Abingdon, 24 miles (39 km) north-west of Reading, 15 miles (24 km) south-west of Oxford and 14 miles (23 km) north north-west of Newbury. Thame is a market town and civil parish in Oxfordshire, about 13 miles (21 km) east of the city of Oxford and 10 miles (16 km) southwest of the Buckinghamshire town of Aylesbury. It derives its toponym from the River Thame which flows along the north side of the town. The parish includes the hamlet of Moreton south of the town. The 2011 Census recorded the parish's population as 11,561. Oxford Bus Company is the trading name of The City of Oxford Motor Services Ltd. It is a bus operator serving the city and surrounding area of Oxford, England. It is a subsidiary of the Go-Ahead Group. Stagecoach in Oxfordshire is the trading name of Thames Transit Ltd. It is a bus operator serving the county of Oxfordshire, England. It is a subsidiary of Stagecoach Group. Cowley in Oxford, England, is a residential and industrial area that forms a small conurbation within greater Oxford. Cowley's neighbours are central Oxford to the northwest, Rose Hill and Blackbird Leys to the south, New Headington to the north and the villages of Horspath and Garsington across fields to the east. Watlington is a market town and civil parish about 7 miles (11 km) south of Thame in Oxfordshire, near the county's eastern edge and less than 2 miles (3 km) from its border with Buckinghamshire. 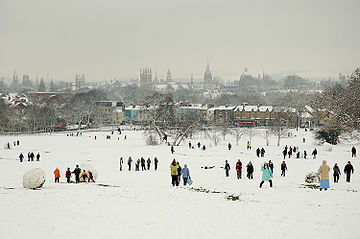 The parish includes the hamlets of Christmas Common, Greenfield and Howe Hill, all of which are in the Chiltern Hills. The 2011 Census recorded the parish's population as 2,727. 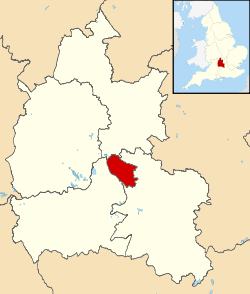 New Marston is a suburb about 1.25 miles (2 km) northeast of the centre of Oxford, England. The A420 is a road between Bristol and Oxford in England. Between Swindon and Oxford it is a primary route. Thames Transit was a bus and coach company which operated in the Oxford area. As well as running a number of local services it also ran a regular service to London under the Oxford Tube brand. It was sold in July 1997 to Stagecoach. Oxpens Road is a road in central Oxford, England, linking west and south Oxford. It is named after the marshy area of Oxpens, next to one of the branches of the River Thames in Oxford. It forms part of the A420 road. Oxford Parkway railway station is a railway station at Water Eaton, Oxfordshire, on the Oxford–Bicester line. Full regular weekday service began on Monday 26 October 2015, although the first passengers travelled the previous day on a Sunday timetable. Cambridge is a university town and the administrative centre of the county of Cambridgeshire, England. It lies in East Anglia about 50 miles (80 km) north of London. 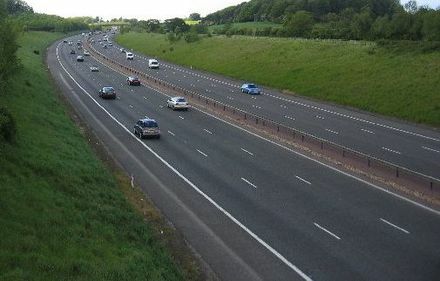 Its main transport links are the M11 road to London, the A14 east-west road and the West Anglia Main Line railway line to London. The City of Oxford and District Tramway Company and its successor the City of Oxford Electric Traction Company operated a horse-drawn passenger tramway service in Oxford between 1881 and 1914. The tramway was unusual for having a track gauge of only 4 feet (1.219 m). 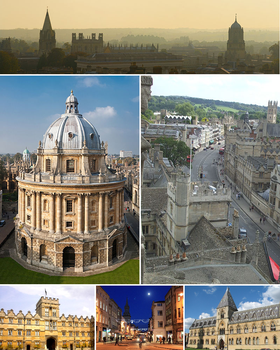 The following is a timeline of the history of the city, University and colleges of Oxford, England. 1 2 Williams, Tom (15 May 2018). "Oxford welcomes new Lord Mayor Colin Cook with traditional ceremony". Oxford Mail . Retrieved 2 July 2018. ↑ "Key Facts about Oxford". Oxford City Council. Retrieved 4 January 2019. ↑ UK Census (2011). "Local Area Report – Oxford Local Authority (1946157324)". Nomis. Office for National Statistics . Retrieved 9 February 2018. ↑ Sager 2005 , p. 36. ↑ Crouch, D. (2013). The Reign of King Stephen: 1135-1154 (2nd ed.). London: Routledge. p. 203. ISBN 978-1-31789-297-7. ↑ Oxford Brookes University, 'Awards and Rankings' Archived 6 September 2013 at the Wayback Machine . Retrieved 19 August 2013. ↑ "Radcliffe Meteorological Station" . Retrieved 17 March 2008. ↑ "Oxford 1981–2010 averages". Met Office. Retrieved 5 April 2019. ↑ "RMS Summary of Long Period Observations". University of Oxford . Retrieved 5 April 2019. ↑ Hearn, Dan (19 August 2009). "Oxford tourism suffers triple whammy". Oxford Mail . Retrieved 1 March 2010. ↑ "Bodleian Library Website". Oxford University Bodleian Library . Retrieved 18 February 2016. ↑ "Ashmolean Museum website, What's In the Ashmolean". Oxford University Ashmolean Museum . Retrieved 18 February 2016. ↑ "Oxford University Museum of Natural History Homepage". Oxford University Museum of Natural History . Retrieved 4 November 2007. ↑ "Pitt Rivers Museum Website, About Augustus Pitt Rivers". University of Oxford Pitt Rivers Museum. Archived from the original on 17 April 2016. Retrieved 18 February 2016. ↑ "Visiting museums, libraries & places of interest – University of Oxford website" . Retrieved 22 January 2016. ↑ "Museums and Galleries – Experience Oxfordshire website" . Retrieved 22 January 2016. ↑ "SAPPHIRE – Aylesbury to Oxford via Haddenham, Thame and Wheatley 280". Timetables. Arriva Shires & Essex . Retrieved 24 September 2015. ↑ "FAQs frequently asked questions". Sapphire. Arriva UK Bus . Retrieved 24 September 2015. ↑ Little, Reg (15 July 2010). "Transport revolution". The Oxford Times . Oxford: Newsquest (Oxfordshire) Ltd. pp. 1–2. Retrieved 15 July 2010. ↑ "Eastern Section". East West Rail. 18 August 2014. Archived from the original on 7 August 2014. Retrieved 23 August 2014. ↑ "Oxford drop plans to ban private vehicles in new clean air proposals". ↑ "Jericho Echo". Jericho Echo. Archived from the original on 23 December 2014. Retrieved 17 April 2010. ↑ Tyack, Geoffrey (1998). Oxford: An architectural guide. Oxford University Press. pp. 187–188. ISBN 978-0-14-071045-8. ↑ "Exploring Wadham's Holywell Music Room". Wadham College. 21 February 2017. Retrieved 1 December 2018. ↑ "Haydn in England". Oxford University Department for Continuing Education. 2018. Retrieved 1 December 2018. ↑ "Notable people buried in Oxford". Oxford City Council. Retrieved 1 December 2018. Cooke, B.W.C., ed. (January 1960). "The Why and the Wherefore: Distances from London to Oxford". The Railway Magazine . Vol. 106 no. 705. Westminster: Tothill Press. Gordon, Anne (22 June 2008). 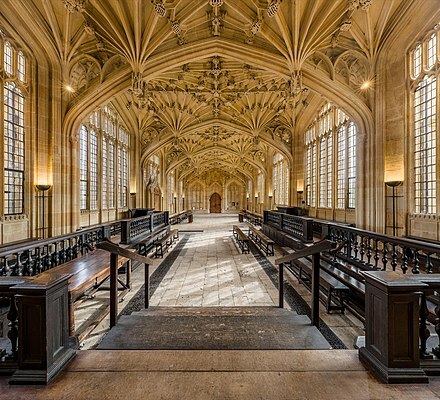 "History, learning, beauty reign over Oxford". The Boston Globe . Wikivoyage has a travel guide for Oxford . Wikimedia Commons has media related to Oxford . Howarth, Osbert John Radcliffe (1911). "Oxford" . Encyclopædia Britannica . 20 (11th ed.). pp. 405–414.